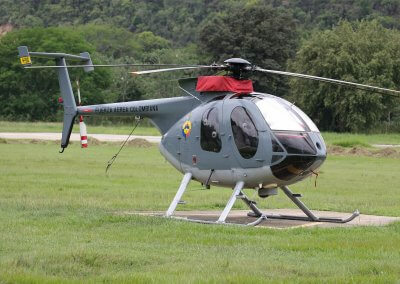 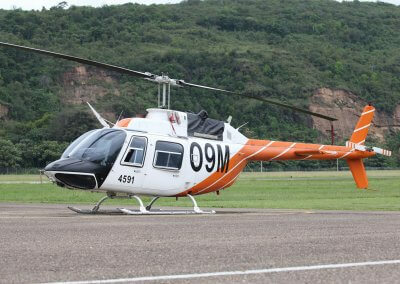 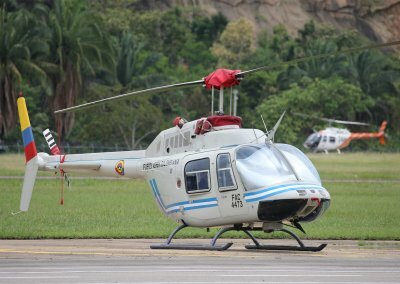 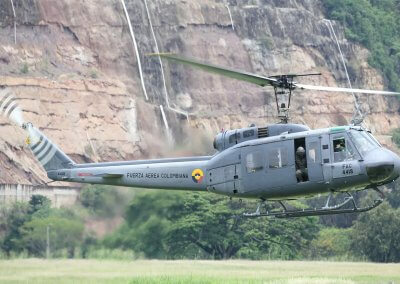 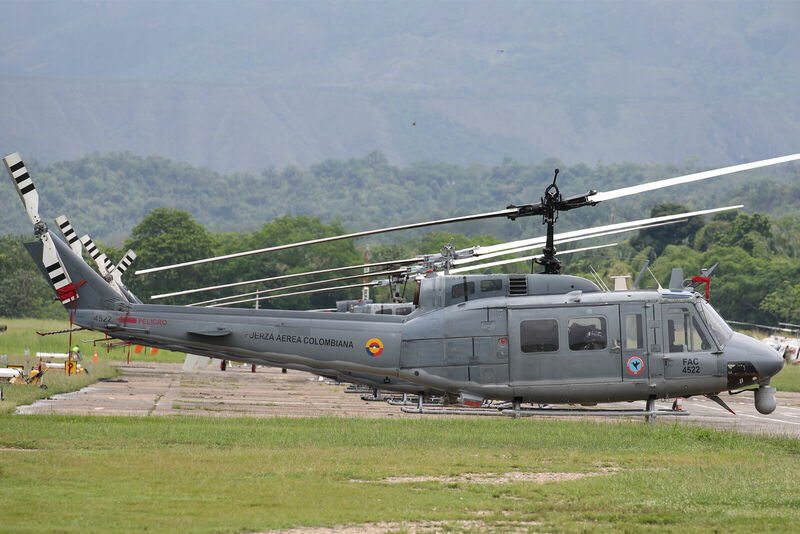 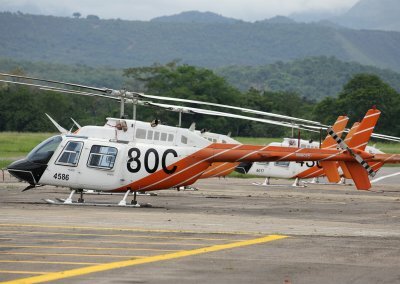 The Escuela de Helicópteros para las Fuerza Armadas (Helicopter School of the Armed Forces) de la Fuerza Aérea Colombiana is located at Melgar – Tolima in central Colombia and is today the largest and most rigorous helicopter training facility in Central and Southern America. 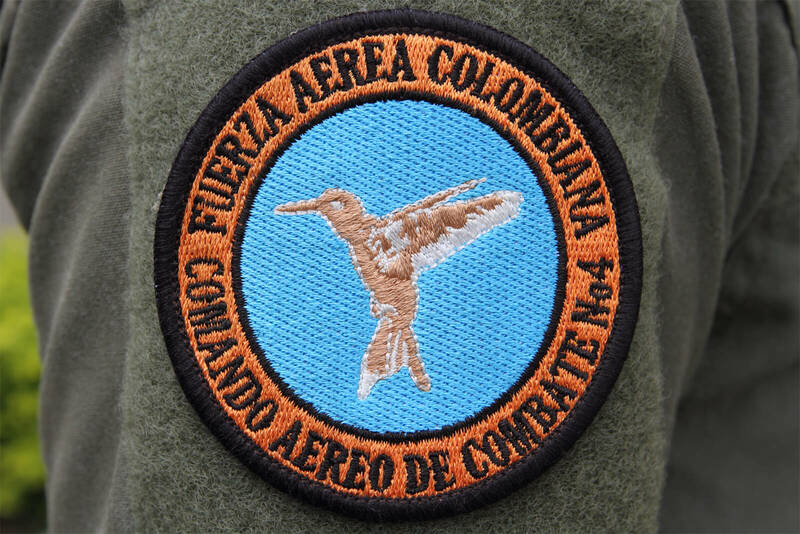 The Colombian Air Force is structured into various commands and the facilities at Melgar form Comando Aéreo de Combate No. 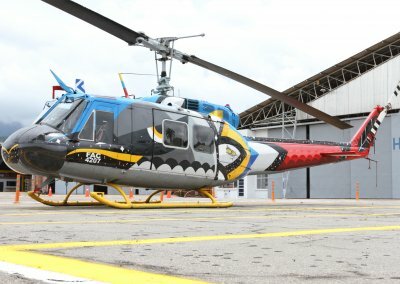 4 “TC. 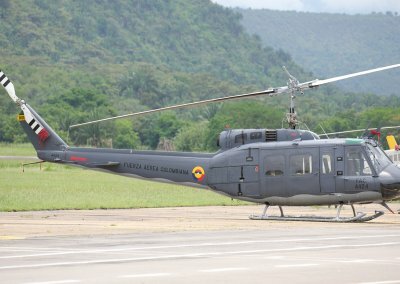 Luis Francisco Pinto Parra” which consists of Grupo de Combate 41 and the Escuela de Helicópteros para las Fuerzas Armadas “Coronel Carlos Alberto Gutierres”. 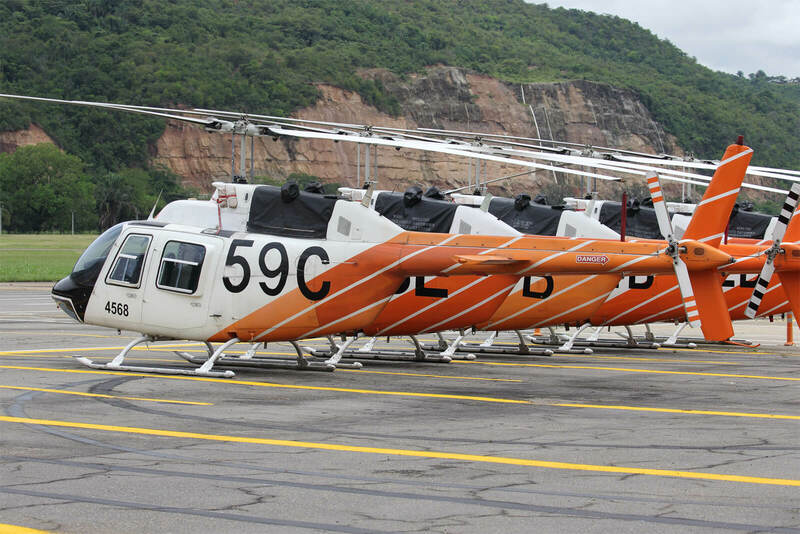 The school was established in 1954 with surplus US Army Bell OH-13 Sioux and three Hiller OH-23B Ravens. 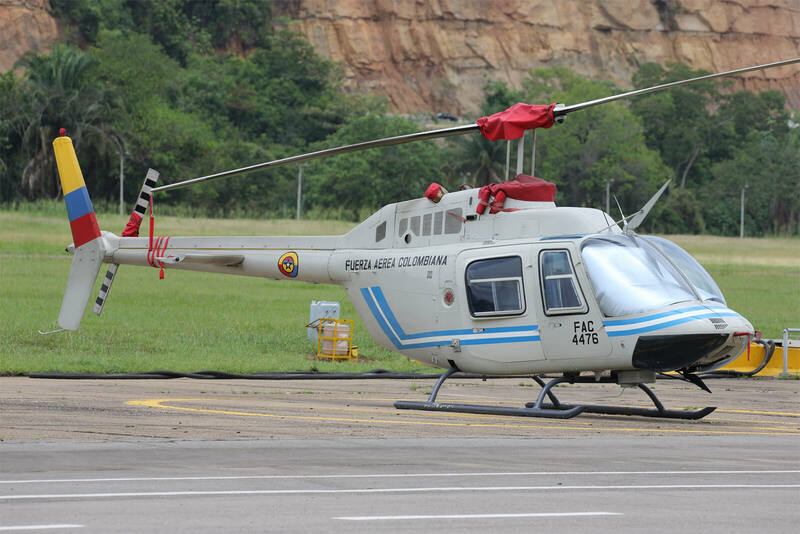 These were replaced by the Bell UH-1H and UH-1N in the 1960s and augmented by the Bell 212 in 1971. 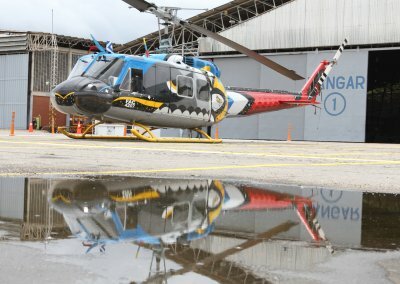 By 2000 the facility only had a few helicopters and was on the verge of closing. 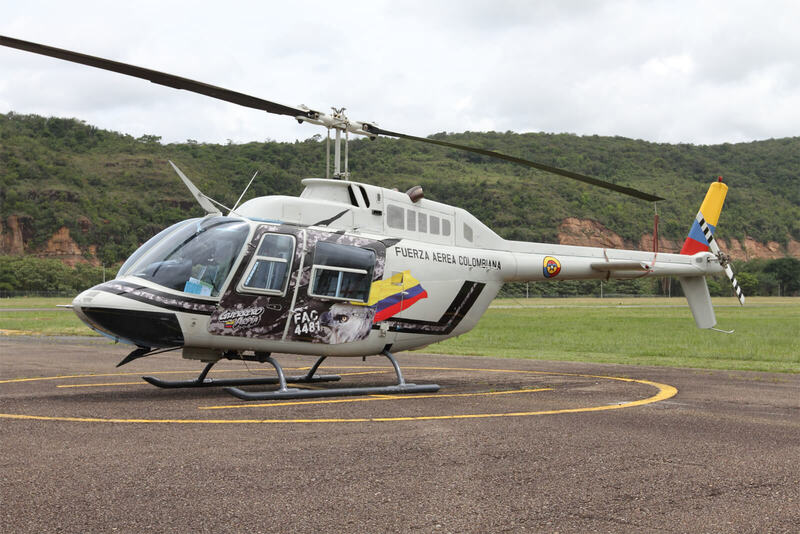 The base commander saw a future as a regional training centre for all the armed forces and police and a plan was developed, initially as Plan Colombia. 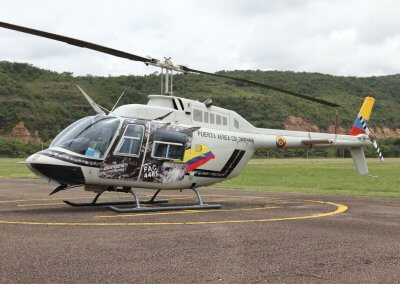 This was a US backed initiative to train more pilots to fight insurgency and the war on drugs. 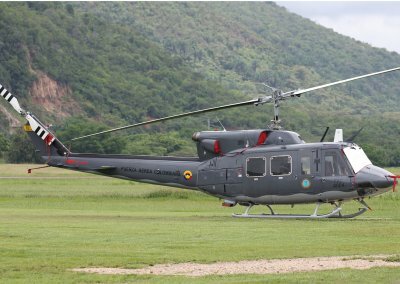 17 Bell UH-1H Hueys were loaned from the USA. 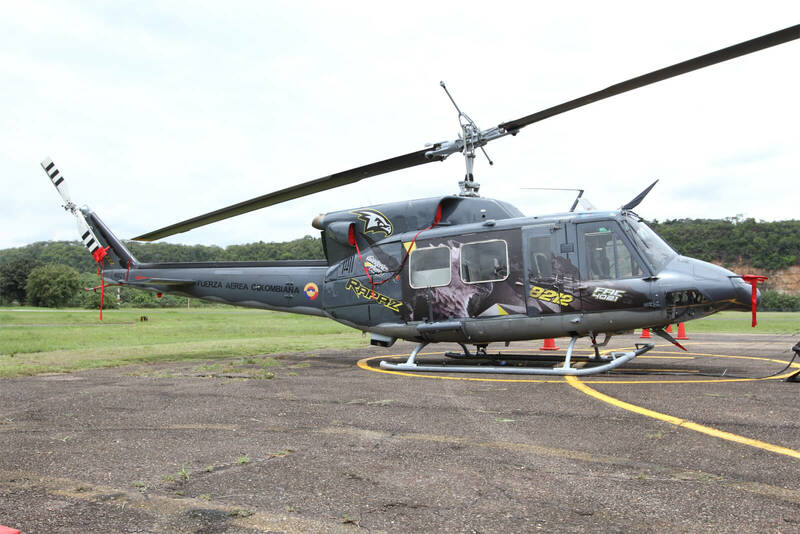 In 2005 the school was awarded US Army certification and a common unified standard of training was applied to all armed forces training. 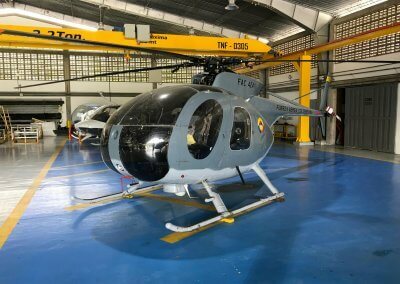 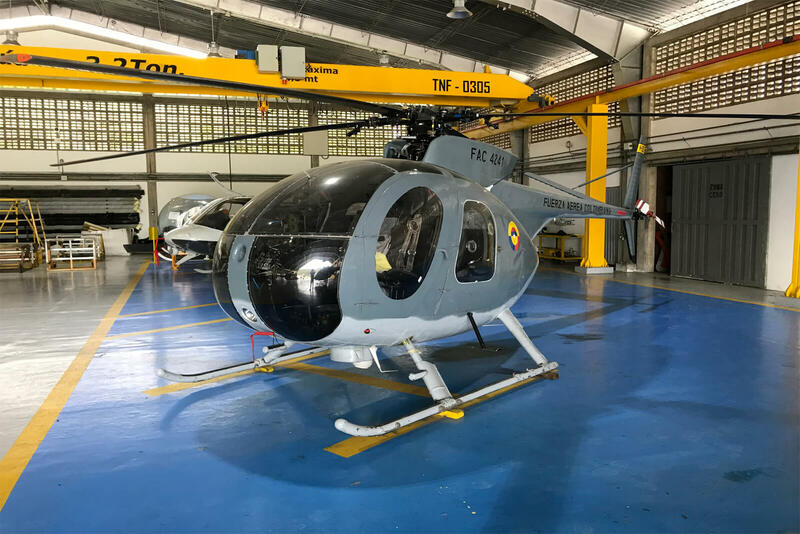 Previously pilots were sent to Fort Rucker in the USA for training but the establishment of a certified training facility in Colombia resulted in significant cost savings. 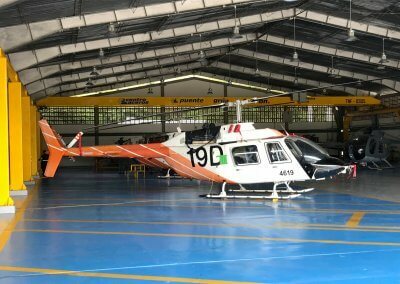 In 2009, the USA and Mexico launched the Mérida Initiative and this resulted in the creation of the Regional Helicopter Training Centre at Melgar and provided for 19 Bell OH-58 Kiowas to replace the UH-1Hs thus further developing the facilities and the level of training offered. 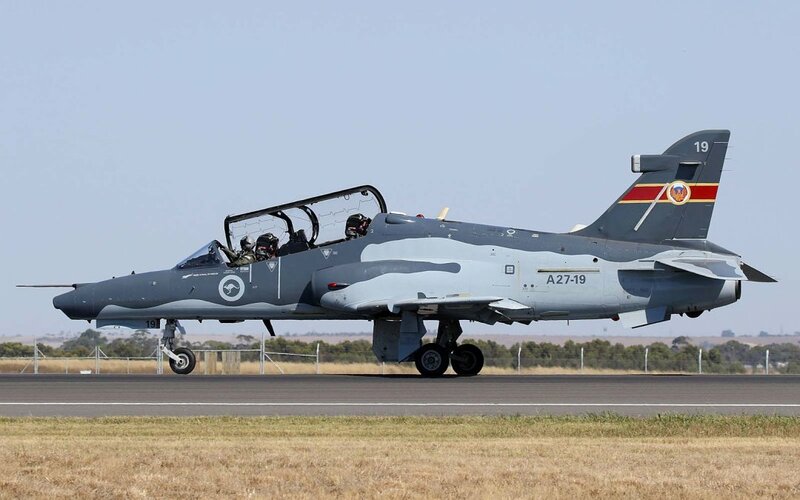 In 2014 the Flandes airfield was added to the facilities to provide forward operating base training. 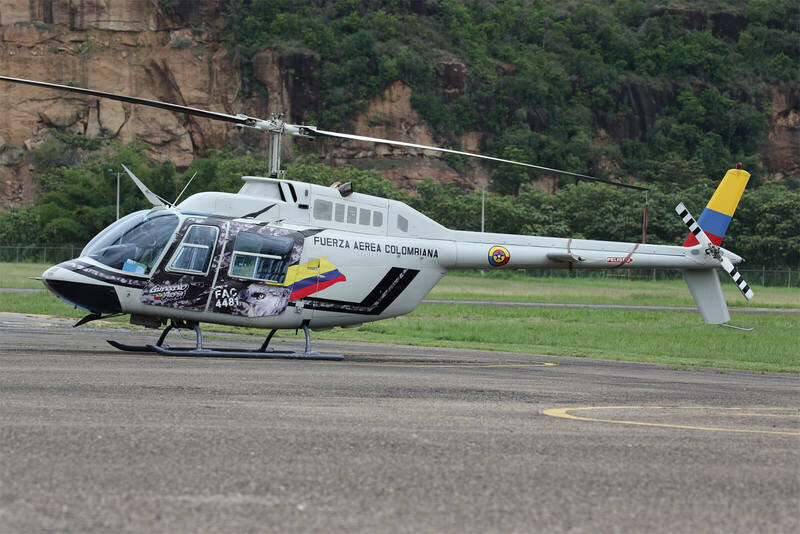 In 2015 the Triangular Plan was formed and this brought together the training requirements of Colombia, the USA and various foreign countries. 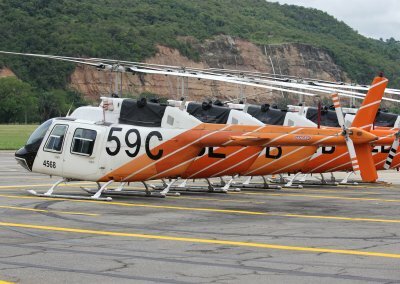 As part of this initiative 60 Bell TH-67 Creek helicopters were delivered between 2016 – 2017. 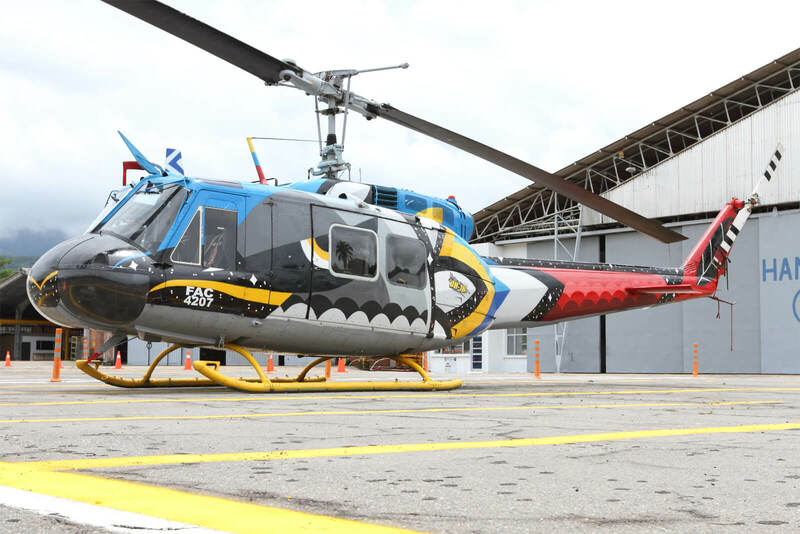 Today, the curriculum is being expanded to provide training courses in English with a particular aim to attract students from African countries. 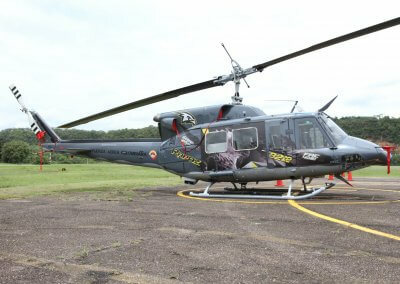 Other courses include fire fighting, search and rescue, advanced tactics, maintenance, technical inspection and armament. 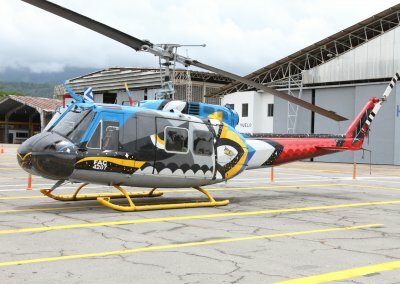 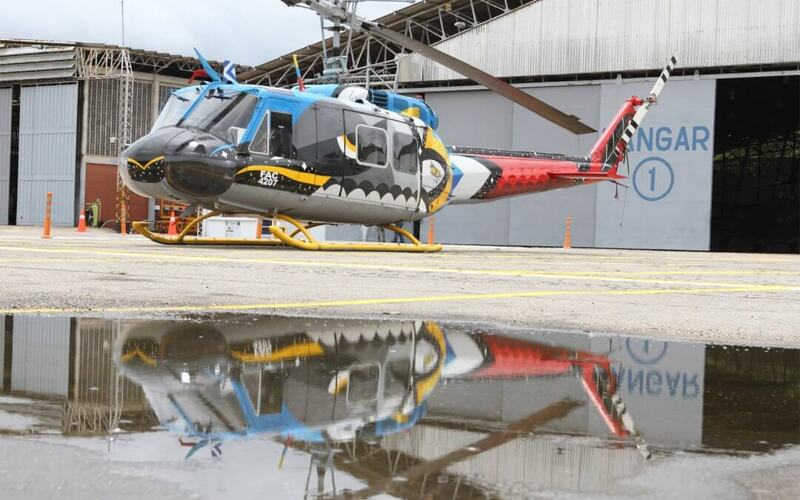 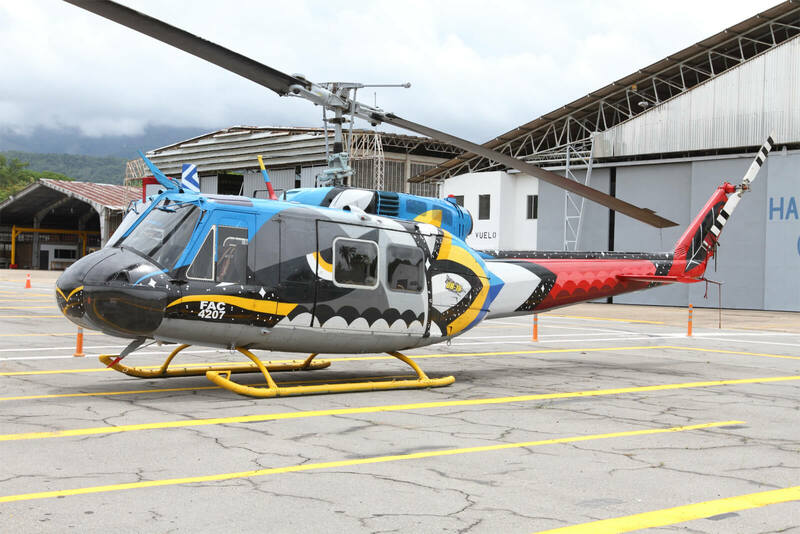 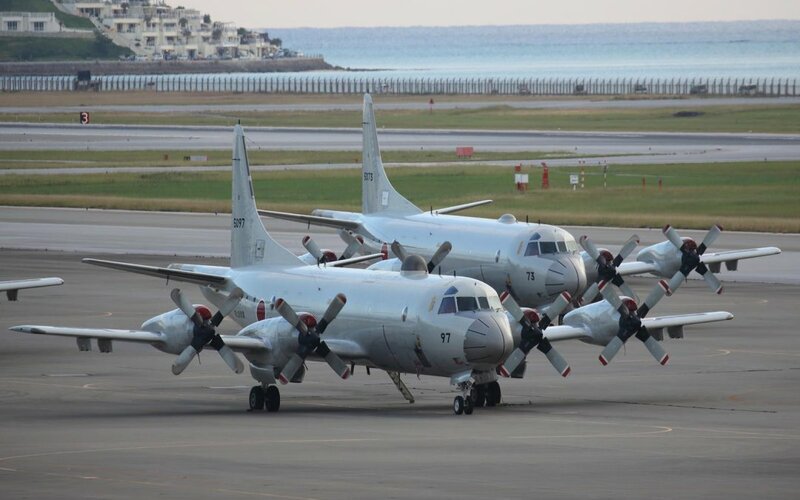 Prior to starting at the school, Colombian Air Force trainees will have completed fixed wing basic training but trainees from other Colombian armed forces will have had no flying training at all. 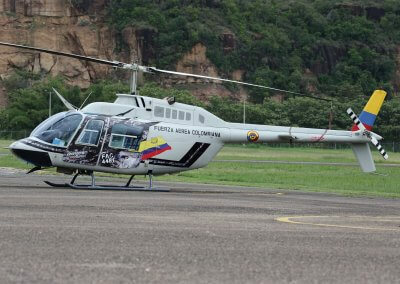 The basic course comprises 30 hours on the simulator and 99 hours flying and takes eight months. 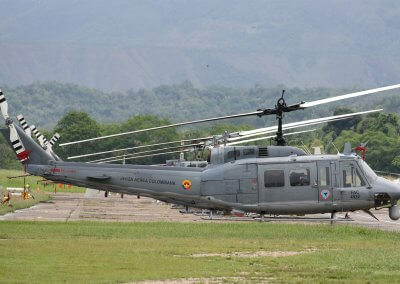 Trainees will cover instrument flying, use of night vision goggles and cross country navigation. 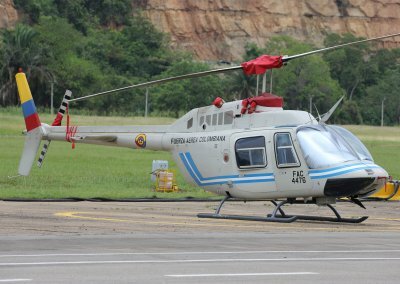 The helicopter school has 32 instructors who are highly trained in all phases of flight. 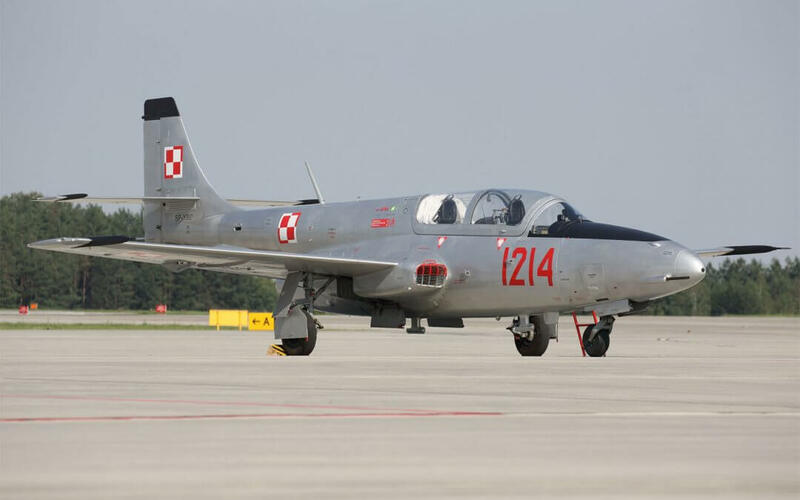 They train 75 students every year through a program of five military pilot courses. 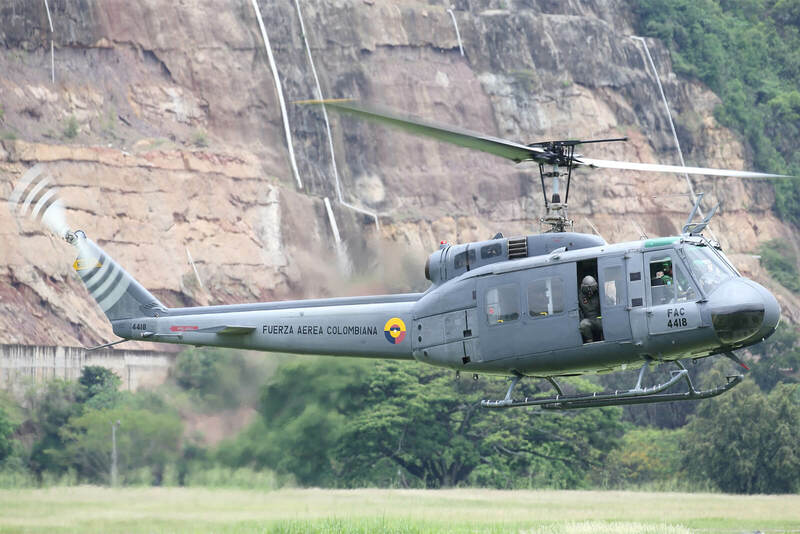 Seventy percent of the instructors are from the Colombian Air Force, but instructors from the Colombian Navy and Army, as well as guest instructors from partner nations, also participate. 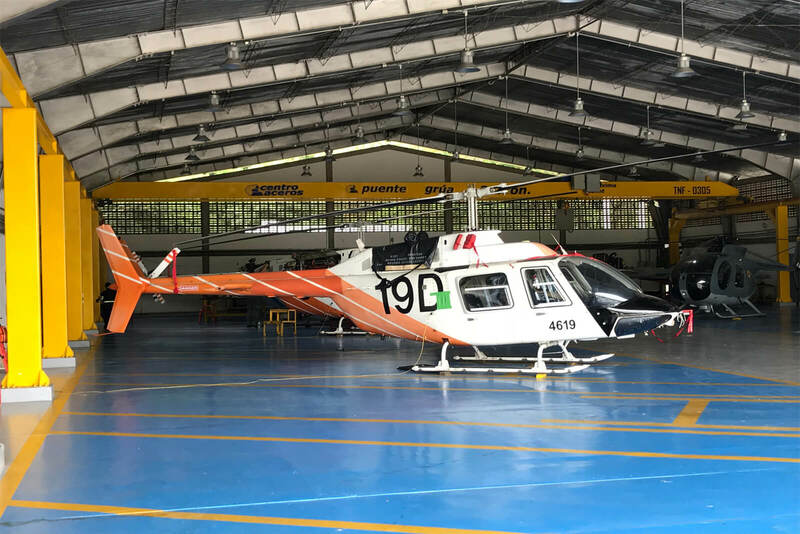 Trainees typically have their career planned out, though there is always the possibility of change as operational requirements may also change. 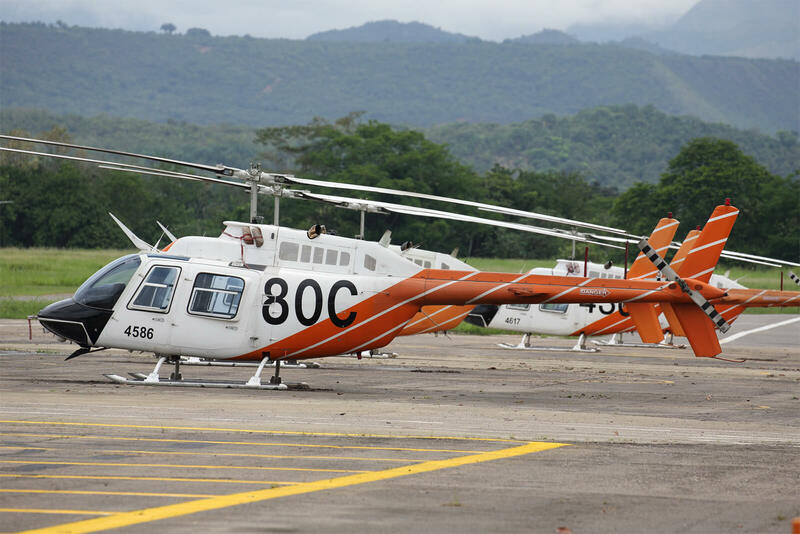 After gaining their wings on the TH-67 pilots will typically progress to one of either the Bell UH-1H, Bell 212 or the Sikorsky UH-60 Blackhawk. 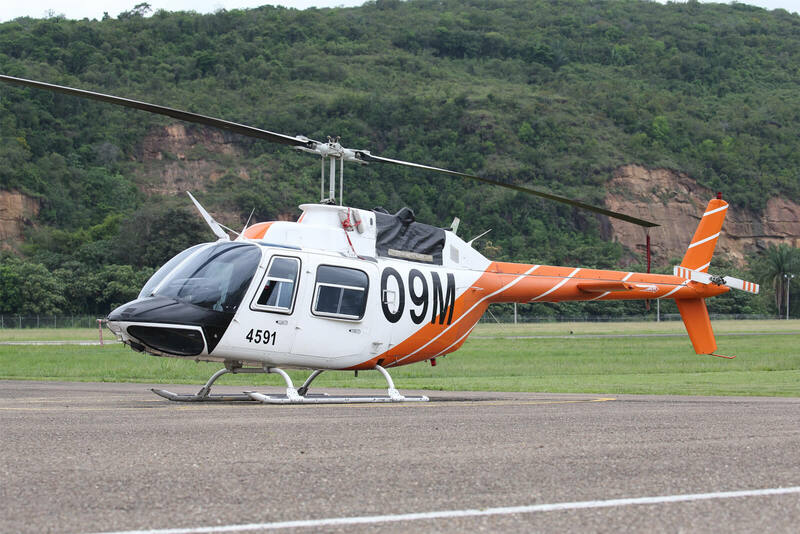 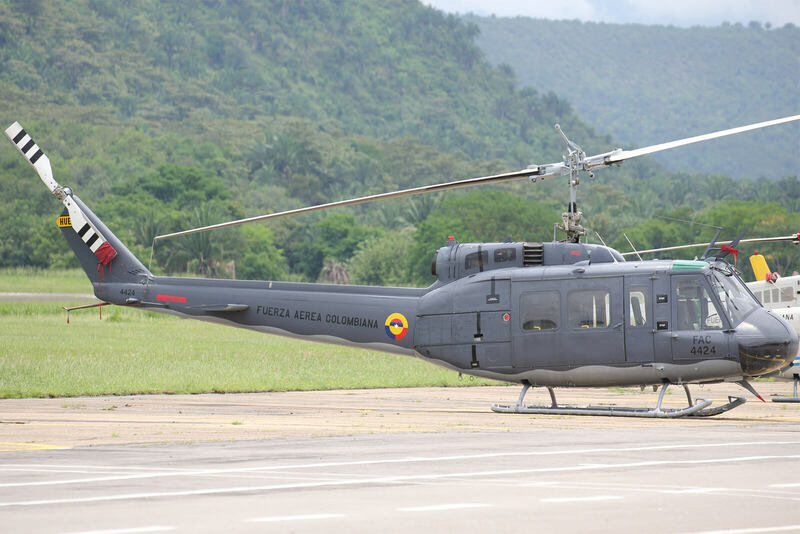 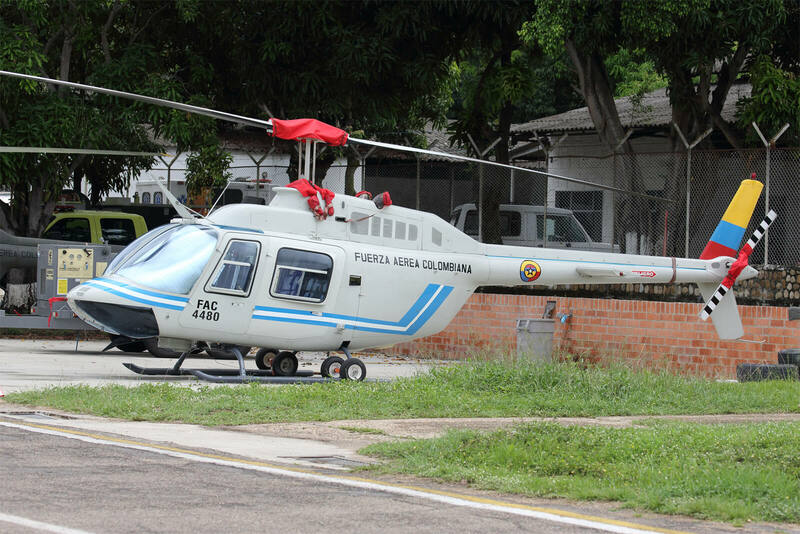 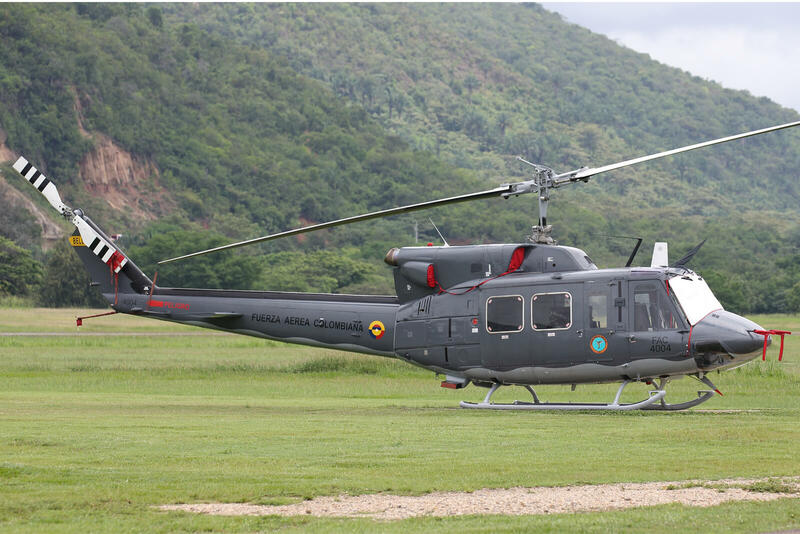 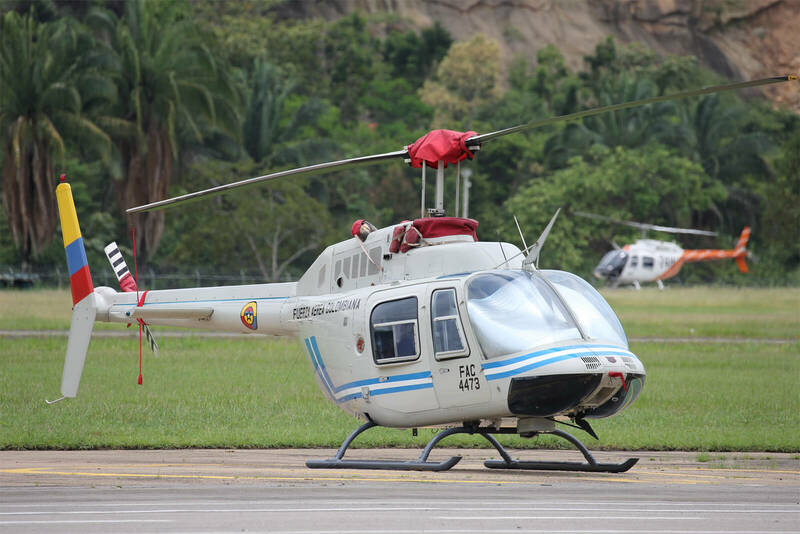 Although there is a Blackhawk simulator at Melgar, students go to Rionegro to complete their conversion course on this helicopter. 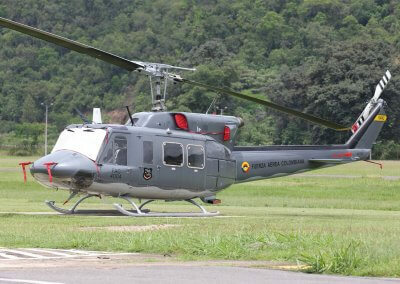 Aviation Press Limited would like to thank Colonel Luis René Nieto Rojas and Lieutenant Colonel Camilo Andes Moyano Rodriguez for hosting the visit and Major Monica Barrero of the Fuerza Aérea Colombiana Press Office, Paolo Di Biagio and Mark Forest for their assistance in arranging the visit. 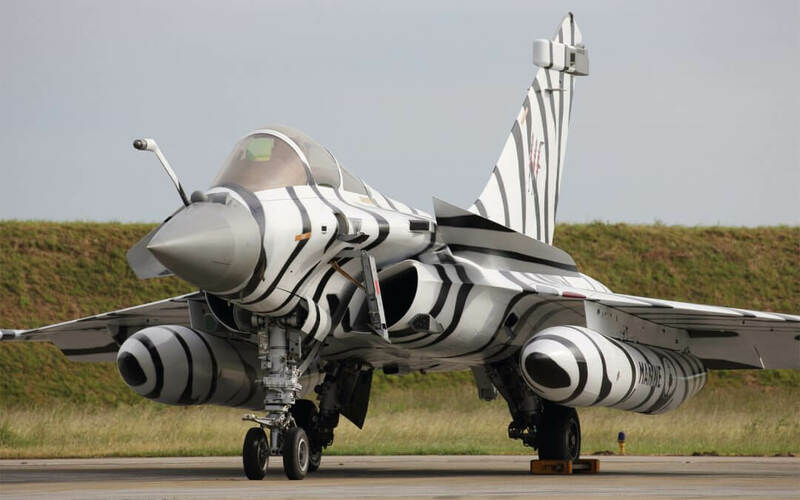 Aviation Press Limited owns the copyrights to this article & associated photographs.